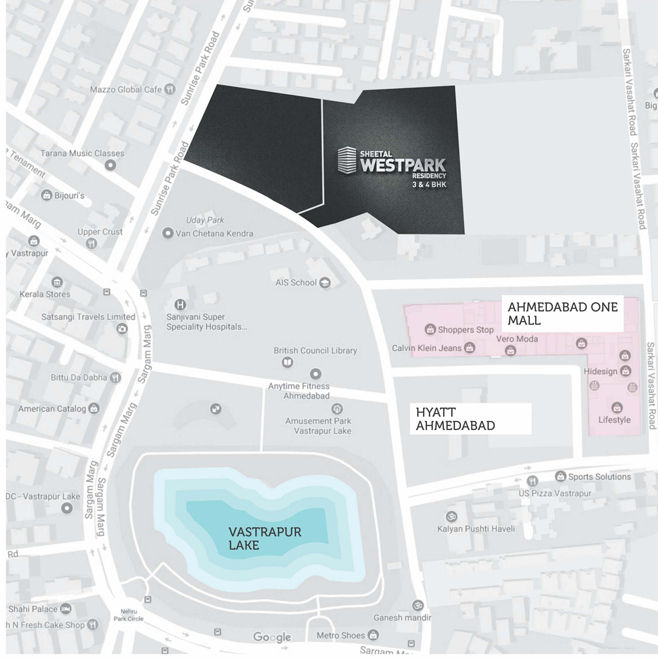 Ahmadabad is one of the most popular residential areas of the country, thanks to the optimal location of the city. The commercial sectors in the city have attracted merchants over the years. 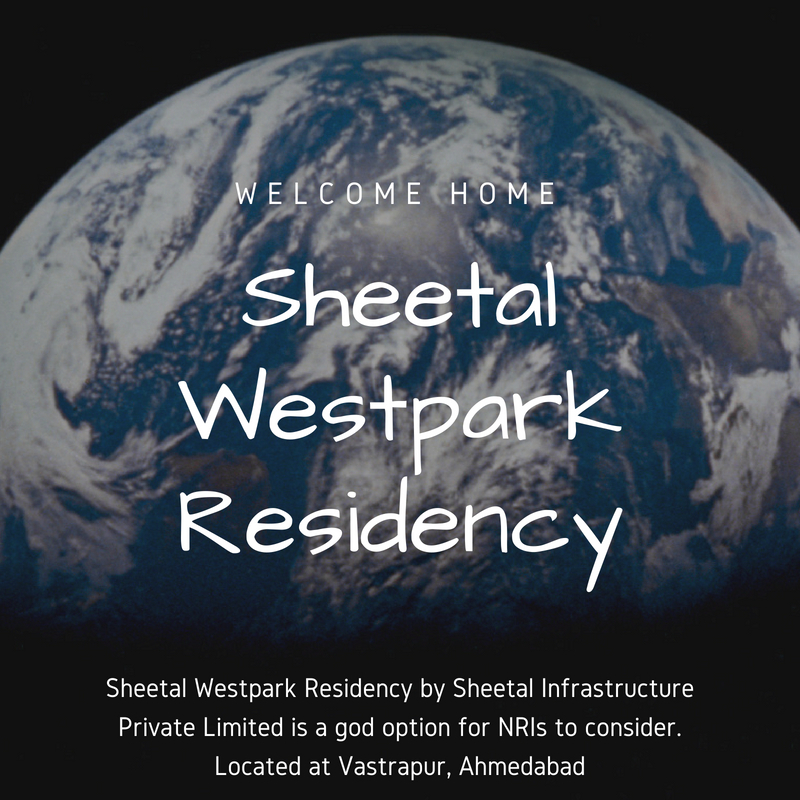 If you are seeking a luxurious home in the city, you may get an apartment in Sheetal Westpark residency Vastrapur. The real-estate industry in Ahmadabad has witnessed a tremendous growth in the last few years. A number of developers have come up with luxurious residential complexes in the region. 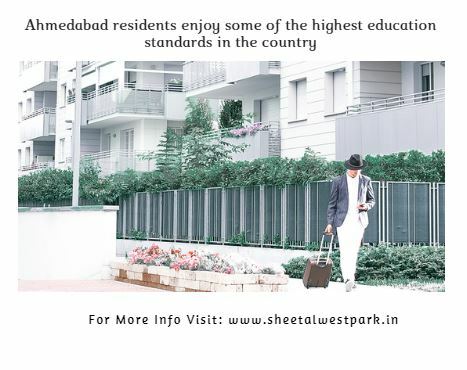 Sheetal Westpark residency comes with 3 and 4 BKH apartments, customized for the high-end and mid-range buyers. The location of the residential estate is one of the reasons behind the popularity of the housing complex. It is located close to a number of schools and hospitals. The important schools include Nirman High School, H.B.Kapadia New High School, St. Kabir School, DAV International School, Ahmadabad International School, and Udgam School for Children. The hospitals in the region include Sushri Jasumatiben Shahtilal Surti Charitable General Hospital, Krishna Hospital, Shivam Orthopaedic Hospital & Joint Replacement Centre, Sanjivani Super Speciality Hospitals, Ahmadabad Heart Hospital, Tender Touch Children Hospital and Rainbow Hospital. An enriched infrastructure of roadways connects the residential area to the important places in the region. The Gujrat University and CEPT University are two of the platforms for higher education. Residents in the apartment can enjoy easy access to all parts of the city, including a number of shopping malls and multiplexes. You will find enough scope of entertainment, and the social infrastructure in the region is highly refined. Proximity to all the important places is one of the reasons behind the rising price of the apartments in the residential complex. 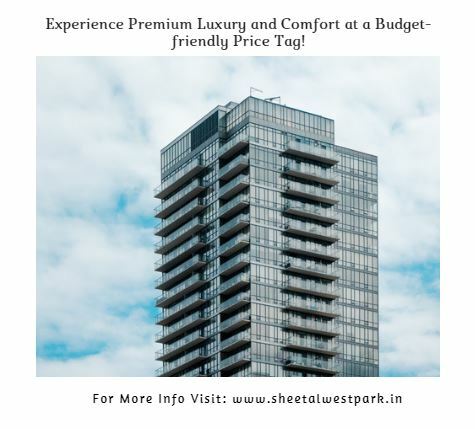 The Sheetal Westpark residency price starts from Rs 94.54 lakhs and range up to Rs 1.44 crores. The interiors of the apartments are splendid, with all the amenities that ensure a comfortable life. The large windows and wide balconies ensure enough flow of fresh air and natural light in the rooms. The floor planning has been flawless, with every facility available at your disposal. The residential complex remains under CCTV scanner 24/7, besides being guarded by security guards. Residents living in the apartments get uninterrupted water and power supply. Sports enthusiasts will enjoy a number of amenities, including a volleyball court, gym and tennis court. Apart from these, the complex also hosts a tennis court and a swimming pool. You can enjoy the morning hours, enhancing your fitness levels in the jogging tracks. In case you need to arrange for meetings and conferences, you have the banquet hall in the complex. Apart from this, people can enjoy their time in the pleasant green patches in the complex. Senior citizens can sit and chat in a dedicated area. Kids, too, have their own area to play. You will find every amenity that you crave for when you move to the apartments. Investors and homeowners interested in buying luxary Ajmera Enigma should invest now. Get an apartment and live a luxurious life, shrouded with comfort. You can book an apartment in advance as well. Granite Platform and Modular Kitchen.